The Dell UltraSharp U3415W Curved Monitor comes with 4 downstream USB ports already, but what if you need more? 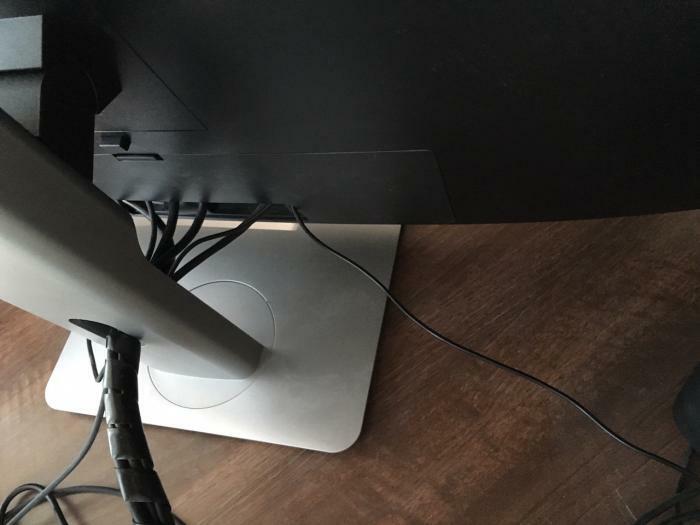 Or what if the 3 ports that are inside the cable cover are just not enough and you don't like using that 4th external port, it is in an odd spot after all. Turns out you can cram a USB hub inside the cable cover and double the number of available ports that are hidden from view, check it out! 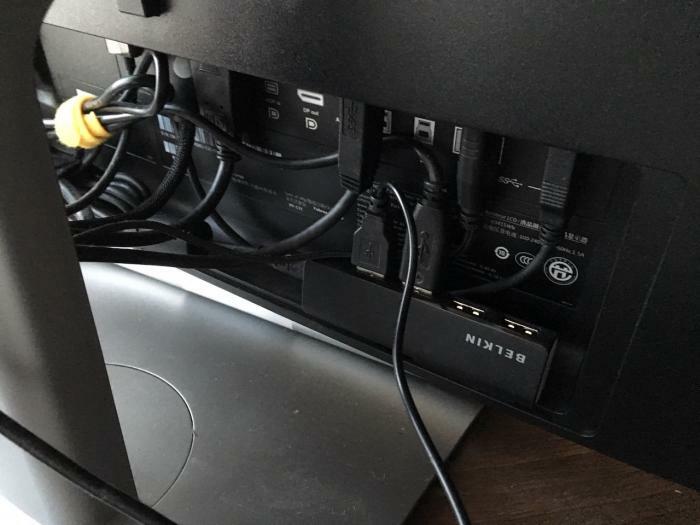 The USB hub I used is a Belkin F4U040AU, which is a USB 2.0 hub and seems to have been discontinued, but any hub with similar dimensions will do the trick. It fits quite nicely inside the cable cover, directly under the USB ports of the monitor itself. The cover pops back on, hiding all the cables and the hub from view. Would be curious to see what other hubs fit this space so if anyone reading tries this, add your photo in the comments below.